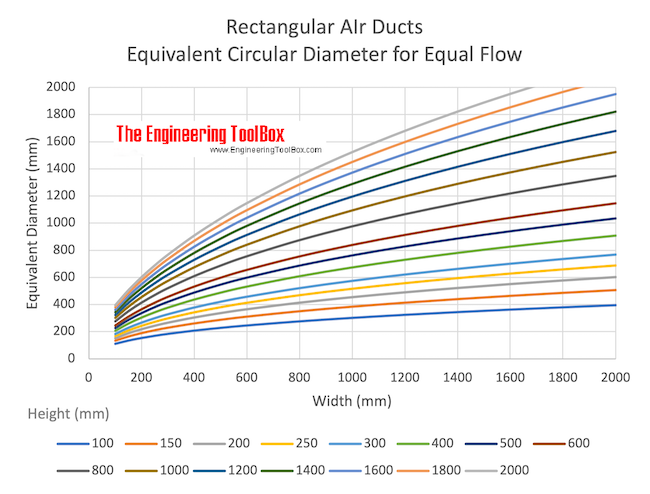 The equivalent diameter is the diameter of a circular duct or pipe that for equal flow gives the same pressure loss or resistance as an equivalent rectangular duct or pipe. A round shape results in lower pressure drops and less fan horsepower to move the air and, consequently, smaller equipment. The calculator below is based on formula (1). The formula is generic and any unit can be used. 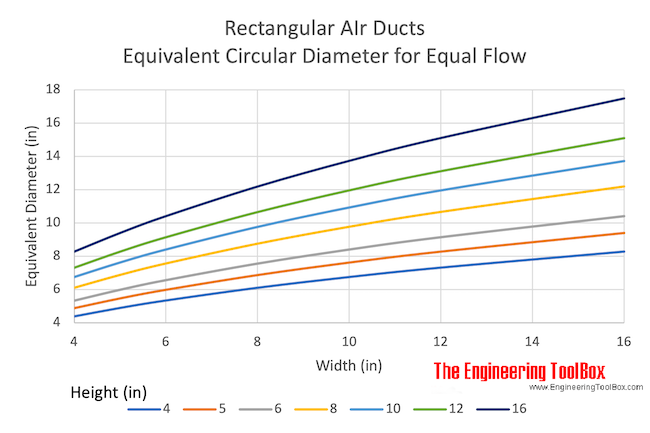 Flat oval ducts have smaller height requirements than round ducts and retain most of the advantages of the round ducts. Fittings for flat oval ducts are difficult to fabricate or modify in the field. Note! - equivalent diameter is not the same as hydraulic diameter. The hydraulic diameter express the rate between the area section of the duct or tube, and the wetted perimeter of the duct or tube. Hydraulic diameter is used to determine if the flow is laminar or turbulent and to calculate the pressure loss.